The Trace Elliot Transit B pedal is a professional grade preamp for the discerning bassist. Built-in tools for tone shaping like Pre-shape, 5 band semi-parametric EQ and dual band Compressor are easy to use and easy to tweak on the fly. Features like Drive with blend control and built-in bass enhancement add to the tonal options available. The back-lit control panel becomes the chromatic tuner for accurate tuning. 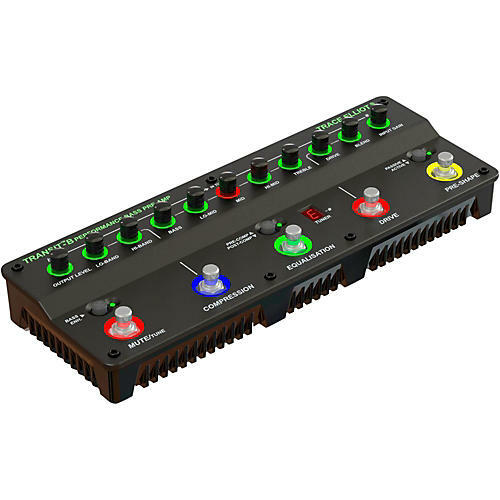 Built-in Pre and Post XLR balanced output, dry output and headphone output give the user the ins and outs they need.